The older we get, the more obvious it is to start to see the impact our age has on the different parts of our body. From joint discomfort to bone loss, the effects of aging are all the more reason to take care of ourselves and keep our immune systems strong. When it comes to our oral health, it’s not any different. Unfortunately, it’s a common occurrence for seniors to put their dental health on the “back burner” once they reach retirement. Because so many of these individuals no longer have dental insurance or they’ve witnessed their parents replace their healthy teeth with a set of dentures, it’s assumed that such milestones will simply take their course. As a result, ongoing professional preventative care and oral health maintenance begins to slack. Slowly, the teeth start to develop problems such as decay and gum disease. The true myth lies where seniors separate their dental health from the rest of their body. Instead of seeing themselves as a holistic system, they disassociate their teeth from their overall wellness. Even if oral infections begin to develop, it’s “just a dental matter.” The worst thing they can possibly think of is losing their teeth and trading them in for a set of dentures…not developing a serious cardiovascular disease because of their poor oral health. A person’s oral health is a good reflection of their total level of wellness. For instance, active inflammation and bleeding is a fair indication of inflammatory levels being elevated throughout the entire body (not just the mouth.) This can place a strain on the cardiovascular and immune systems, making it more challenging to address other underlying health issues. How does this happen? Because periodontal disease causes dilation of the blood vessels at the sight of infection, allowing accumulating biofilm particles to dislodge from the teeth and transfer themselves directly within the individual’s circulatory system. If these individuals already have poor cardiovascular health, the increased bacterial levels inside of their circulatory system can significantly increase their chances of having a heart attack or stroke, compared to someone who has good oral health. Medical providers and dentists alike are now encouraging patients with gum disease to treat their oral infection, lowering the risk of bacteria spreading from the mouth and lodging within the walls of blood vessels. Like arterial plaque that can cause heart blockage or stroke, oral biofilm is thought to play a part in possibly accumulating and creating cardiovascular blockage. In fact, it has been found inside of the heart and cranial arteries of individuals that have passed away from major heart attacks and strokes. As with other types of medical conditions closely linked to gum disease, research supports the idea that eliminating oral infection and reducing the levels of plaque biofilm can improve the overall health and life expectancy of cardiovascular patients. Understand that inflammation is not normal — If your gums bleed or are swollen, they are not healthy; an infection is present. Talk to your dentist about getting screened for periodontal disease and tissue detachment, so that an appropriate care plan can be made. Floss every single day — Use traditional floss or a water flosser to clean between teeth and under the gumlines where a brush cannot reach. This loosens biofilm and lifts/flushes it away, so that it isn’t able to calcify into large tartar deposits. Schedule a preventative cleaning at least every six months — For seniors, preventative dentistry is especially important. Not only will it help you prevent the onset of gum disease, but it can counteract the risk of tooth decay often associated with medications and dry mouth symptoms. 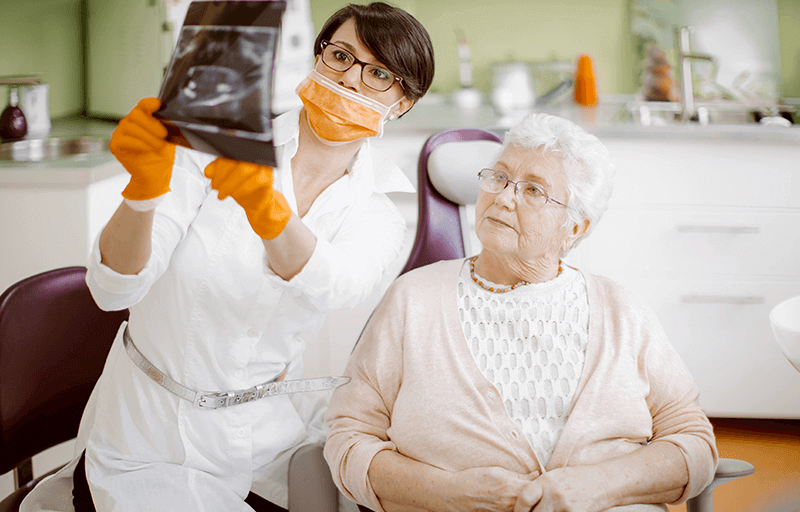 Unfortunately, the reason oral health has such a big impact on seniors’ heart health is because they’ve stopped going to the dentist after losing their dental coverage. As a result, even people that have always had healthy teeth and relatively few dental problems start to see their smiles transform into bothersome problems. 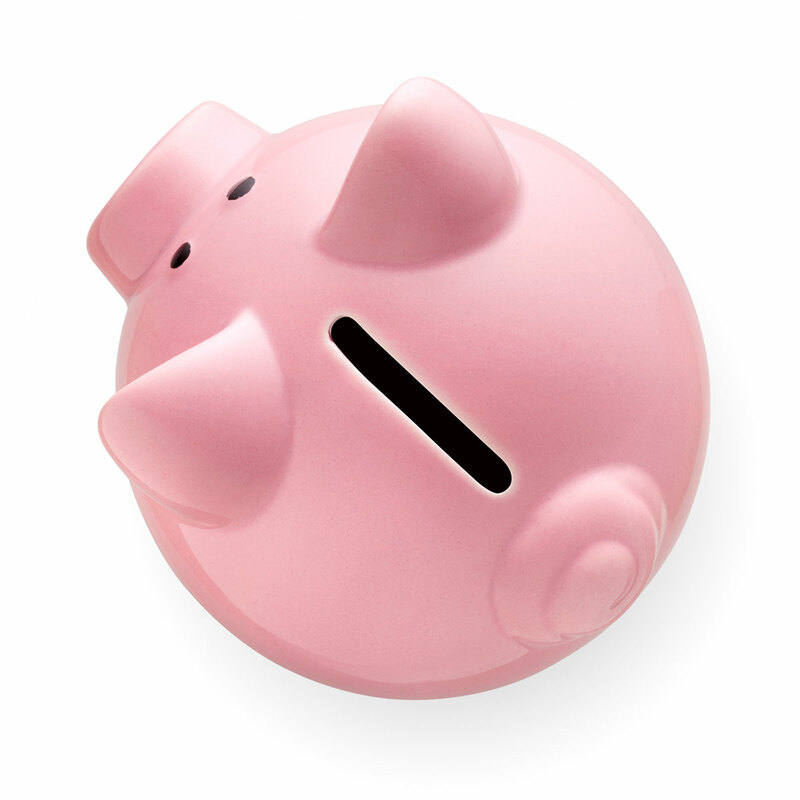 Fortunately, discount dental programs such as Cigna Dental Plans allow seniors to save on their dental services without being enrolled in a traditional insurance program. 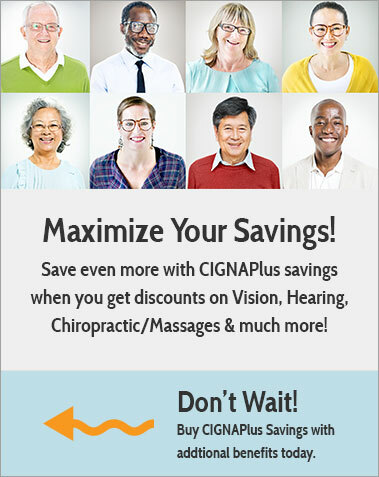 Such Cigna savings plans reduce the cost of certain procedures by 15-50%, with no annual limits. It’s an effective way to afford the great preventative care you’ve always had access to and is accepted by dentists all over the country. Talk to a Cigna discount dental program expert to learn more or find out how to enroll.